Dwayne Perreault - It’s great to have a tasting club. Wine is social and is best enjoyed in good company, where it can be praised, critiqued and discussed, and the tasting club gives us the perfect, intimate venue to do that. Our club in Amsterdam is called the afpilsers (which sort of translates into ‘the beer after drinkers’). We’re a group of about 8-10 people, some wine professionals and some enthusiasts, who take turns organizing wine tastings by theme. 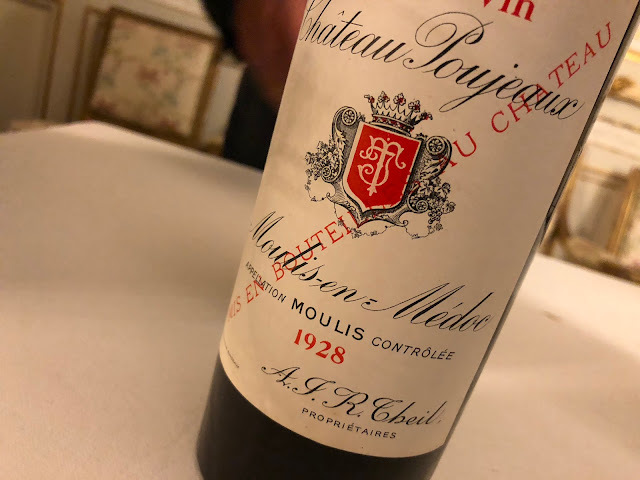 Our latest evening together was organized by Doris Vroom from Winefields Auctioneers, who surprised us with a blind tasting of nine vintage Bordeaux wines, and a Californian Mondavi at the end to confuse us. David brought a white Hermitage 1998 from Chave to round out the evening. 1. The first wine, a Lalande-de-Pomerol, Laborde 1959 caught us by surprise. Stewed red fruits and tomato in the nose, woody with a hint of iron. Very soft and delicate in the mouth. I correctly identified it as right bank, but who would expect a Lalande-de-Pomerol to last fifty years? As Milan Veld from Winefields remarked, 1959 was one of the best vintage years of the twentieth century. 2. The second wine, the 3e Grand Cru Classé, Margaux, Château Boyd Cantenac 1975 was clearly Cabernet Sauvignon-driven, thicker, more concentrated with jammy tones. Not really a bad year either; this wine has kept well. 3. 3e Grand Cru Classé, St. Julien, Château Lagrange 1982. This was known to be a great year for Bordeaux, and the Lagrange did not disappoint. More dark fruit expression, with toffee, pepper and good use of new oak. Strong tannins. 5. 1e Grand Cru Classé, Pauillac, Château Latour 1983. 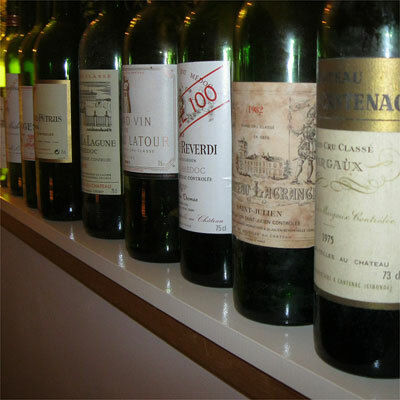 While 83 is seen as a lesser vintage than 82, the top wines are still grand. This Latour has an older, smokey, tobbaco case bouquet with a light acetone. The taste is very dark and full, oakey with spice and cacao. 6. 3e Grand Cru Classé, Haut-Médoc, Château La Lagune 1991 also had a smokey, fragrant character with nice dark fruit. 1991 is seen to be a poor year, but this wine proves you can’t take that literally. 7. Pomerol, Château Lafleur-Pétrus 1992 is an even better example of this. A poor year, but this Pomerol is dark and rich with fragrant tobacco, candied fruit and dark chocolate. Once again, I couldn’t pick out the Pomerol. 8. 5e Grand Cru Classé, Pauillac, Château Lynch Bages 1993. Considered only a slightly better year, this is actually elegant Lynch Bages, not quite as powerful as other years I’ve tasted, more charming than robust. 9. Cru Bourgeois Exceptionnel, Moulis-en-Médoc, Château Poujeaux 1996. Back to a very good year, and at 14 years old the youngest of the bunch, with beautiful, perfumed oak in the bouquet and really great dark fruit concentration. 10. A trick wine, the Napa Valley, Robert Mondavi Cabernet Sauvignon Reserve 1997. A nice effort from Mondavi, very fragant and dark-fruit driven. I’ve enjoyed a few bottles of this over the past year. That was our Christmas tasting, but now it’s a new year. Thanks again to Doris and here’s to opening many more fine bottles in 2011!